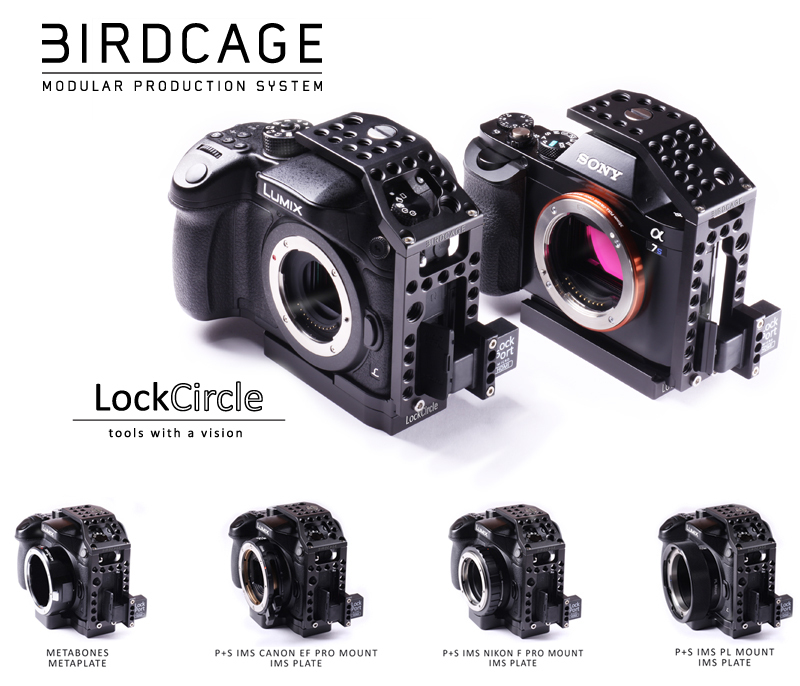 The BirdCage is an innovative cage design for the latest mirrorless Lumix GH4 and Sony A7 Series cameras with the incredible weight (feather-light!) of 51 grams (1.79 oz.). Designed for comfortable grip and action, with all the production accessories mounted on the the left side of the camera, the BirdCage is at the center of what we call Modular Production System.